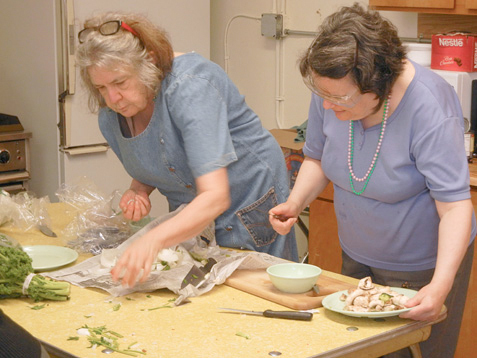 Preparing Food at the East Bay Center for the Blind. Those of us who live with a disability are often typecast as burdens. Because we’re limited in some ways, the ways we give to others and participate in community work often go unnoticed. 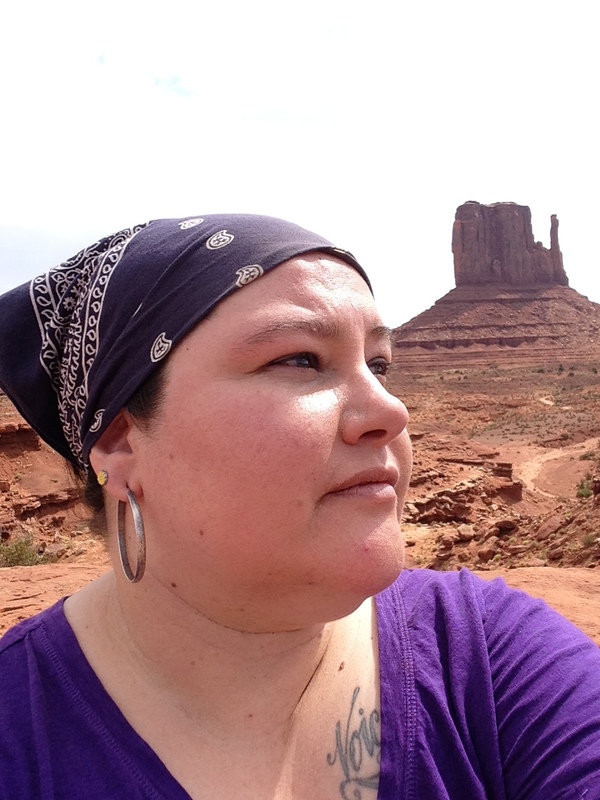 Naomi Ortiz is a writer, poet, and painter living in the US/Mexico Borderlands. She is currently writing a book on self-care for social justice activists. 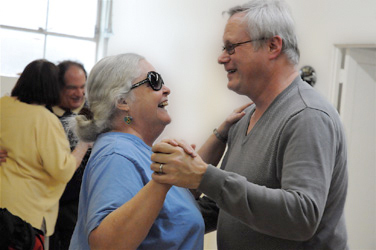 The East Bay Center for the Blind in Berkeley California, offers services and social activities to a diverse group of people who are blind or low vision, many of whom are not assisted by other agencies. Among its many offerings are a newly upgraded computer lab, classes in braille, ceramics and music appreciation, as well as dances and other social events. 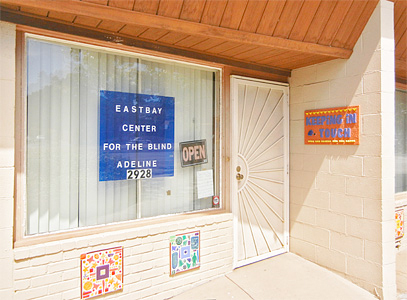 The East Bay Center for the Blind (EBCB) is highly praised for its individualized programs and principled governance system. It is run entirely by the membership it serves. At the EBCB, Adrienne talks with Laurie and Mike Castner, a member named Connie Thomas and the Senior Access Technology Instructor, Leah Gardner. This entry was posted in Adrienne Lauby, Blind, Community, Leah Gardner, relationships, Story Telling - Disability and tagged East Bay Center for the Blind, Laurie Castner, Leah Gardner, Mike Castner, Naomi Ortiz, Self Care for Social Justice Deep Thinking About Self-Care and Living in Multiple Worlds (Intersectionality). Bookmark the permalink.